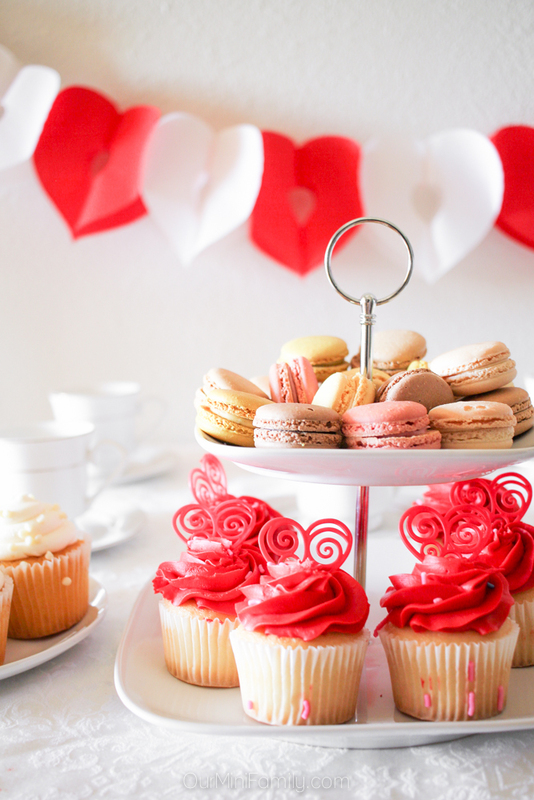 Invite your girlfriends over to celebrate Galentine's Day with a tea party with cupcakes and macarons! The sweetest time of year isn't just for couples! 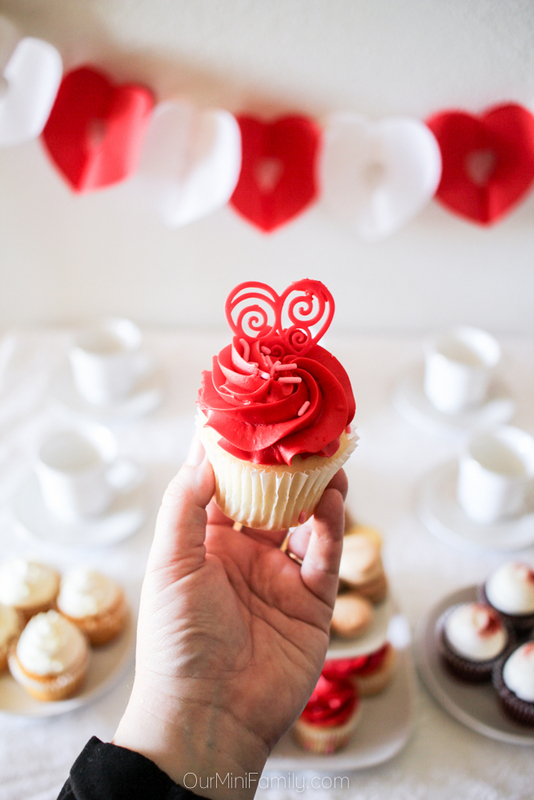 Enjoy all of the adorable, sweet and whimsical parts of Valentine's Day with your closest friends and get together and have all of your ladies celebrate your friendship with a Galentine's Day party! I first learned about Galentine's Day at an Arizona-local blogger event a few years ago. We all were assigned a Galentine and brought a gift for her to the event. We exchanged gifts, tasted some desserts, and enjoyed hanging out and spending some quality time together the week of Valentine's Day. It was such a fun way to enjoy the red, pink, and white festive holiday decorations and just kick back to talk, eat delicious desserts, and have fun! 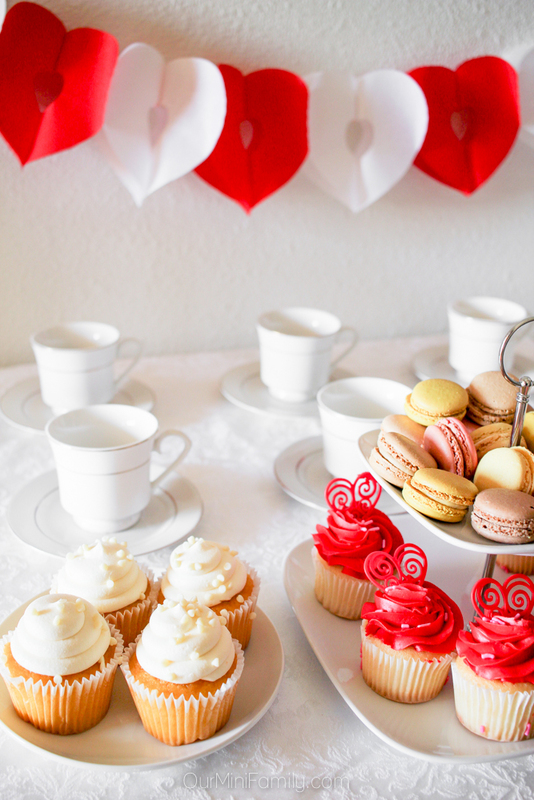 This Galentine's Day tea party idea is a fun way to bring together everything we love about Galentine's Day! See the details from the party setup, along with our favorite shop on Amazon where we got the party supplies from! 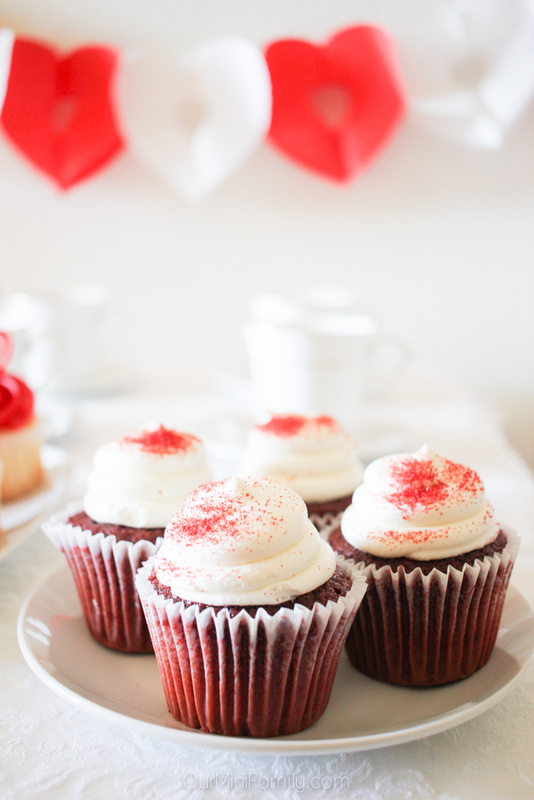 Every Galentine's Day party needs sweets, but for a Galentine's Day tea party we recommend these essentials! Do yourself a favor and stock up on teacups from thrift stores! Real teacups and plates can get very expensive. So unless you got a set of teacups that you have not touched for years since you got them from your wedding registry, you are going to want to get your hands on some inexpensive cups. You can mix and match all of your cups and have a shabby chic party, or if you get lucky you may find a set for cheap at a local thrift shop like a Goodwill or Savers. You can find plenty of tea bag assortments at most grocery stores, but no matter where you shop, be sure to stock up on all kinds of different teas so your ladies attending your Galentine's Day party have plenty of options to choose from. In addition to tea, don't forget to have some sugar, lemon, and honey on the table to make sure your girlfriends have what they need to make their cup of tea taste how they prefer. Just like your teacups, you can find a lot of high-quality table linens at most thrift stores. Oftentimes you will get lucky and see that there are many that do not have holes, rips, or stains. For instance, I found this white, silk damask tablecloth for $0.99 at our local Goodwill. I brought it home, ran it through our washing machine with some bleached detergent and some softener, and then it was good as new! Similarly, you can pick up all kinds of items for your tea party at thrift stores like napkins and gorgeous, antiquely ornate silverware. All you need to do is bring it home and give it a good wash, and you are good to go! For our Galentine's Day tea party, we picked up some festive and pre-made party decorations from Amazon from the Bobee shop! 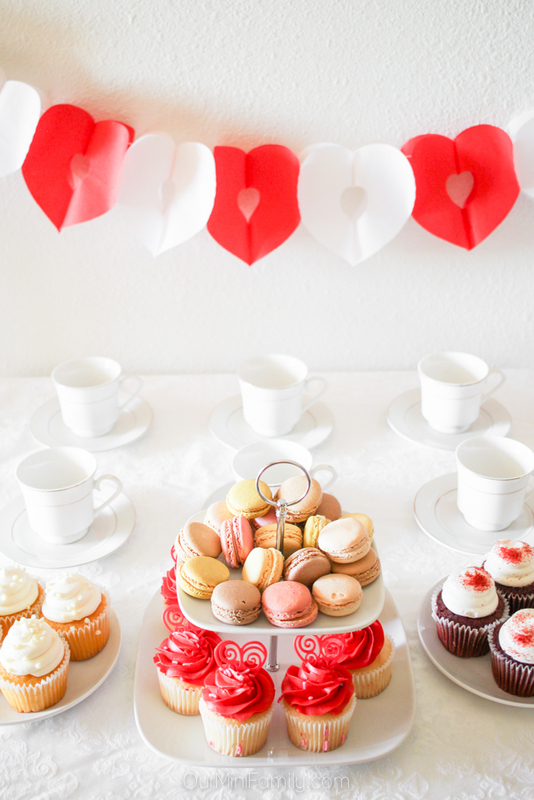 My friend runs this party supplies shop and she has so many beautiful decorations for all kinds of occasions--this red and white heart garland was the perfect way to bring our Galentine's Day tea party tablescape together! Share this Valentine's Day idea with your Girlfriends! Thank you to Bobee for gifting us with some of these beautiful and festive Valentine's Day party supplies! This is so cute and so much fun!! I have never hosted a galentine's day tea party (or any tea party) but this definitely inspires me! My girlfriends and I often get together around Valentine's Day for some girl fun. I didn't know there was an official name. Thanks for the ideas! what a wonderful idea and def something i need to do for my girls and i! What a wonderful idea and perfectly on time. I am definitely following your article for my valentines tea party. Galentine's day is the best!!! LOVE all these treats!! YUM!! I love Galentine's day and appreciate any event where there are plenty of macarons! Oh my God this is so cute ❤️ This is a great idea! Were doing a mommy and me valentines park date so this would be perfect! The cutest party! I just had a Galentine's Day party on Sunday with my blogger gal pals and we had SUCH A BLAST! I love that Galentine's Day is now a thing!! I've wondered how to slip in a cute tea party someday without it being weird. I've never thought about doing it for Galentines, so clever! I pinned this for future reference! 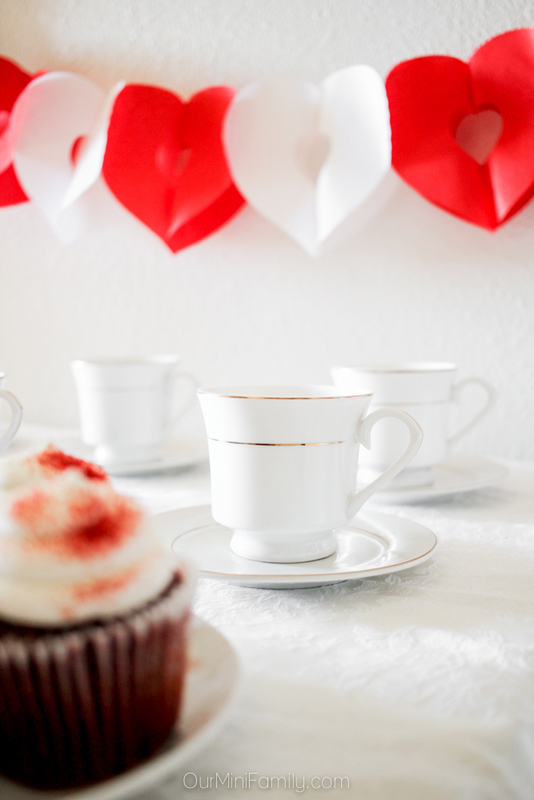 I love your sweet ideas for a Galentine's Day tea party! 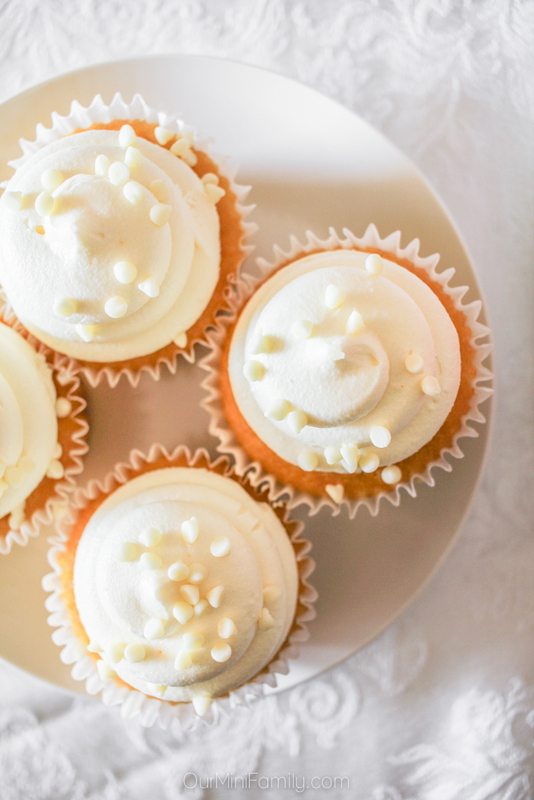 I want to reach right through my screen and snag one of those beautiful cupcakes. Happy Valentines Day to you and the ones you love!